OMS... probably Orbital Mission Support. I've noticed Ambush maps dropping installations in preset locations at different stages of the match - and this is one of them. See all the yellow? for the first couple minutes, none of those are on the field. It is only during the last 2 minutes or so that everything is on the board. Although it's a neat concept that adds to Ambush, everything gets dropped "out of the way" where they don't do much during the real fight. See how the Large Turrets are all right next to big structures and terrain? In most maps, you only get like 90 degrees out of 360 that is of any use, and even that is split between two or three corridors. Same with the supply depots - aside from the central SD, they're all at the corners where you don't have time to fall back to them. None of it really matters when you're spending half your time shooting the enemies that spawned right kitten next to you! In short, the OMS is about the installations, but almost all of them are in terrible locations. Spawning needs work as well, or else that dropping is just a waste of ISK on Mordus' Legion's part. I'm a bit puzzled why they've split up the game modes to With/Without OMS. The Clone structures are a nice capture and point-of-interest, same with the supply depots. Though I'd think that there isn't that much diversity to justify a new game mode for it. Turret use in ambush is a bit meh though. Turret operator dead on in my sights, but more often than not my bullets hit the turret instead. What I find funny is that this particular map set up isn't new and has been in circulation for months. I sure hope they fix the timers on the orbital support structors. A long story short during the last build I did a great many ambushes when I was the only sod in the game, so I've learnt the map subsequently backwards. roughly 7:00 minutes or so into the match does the first supply depot appear. This is the one in the centre of the map by the bottom right corner of the structors that looks like a table (D4). at around 9:45 minutes the next three supply depots drop into place at alpha (E4), bravo (E5) and south of charlie (D3). around 10.30 into the match the first of the gun placements drop out of the sky. These are the ones right of alpha (E4), left of bravo (D5) and south of delta (C5). close to 11:30 things start to build up speed first with bravos second turret placement at (5E). half a minute later 12:00 a turret (D4) drops by (D3) supply depot. finally (F4) turret come down and you got to leg it up there to get the hack on before the match ends. 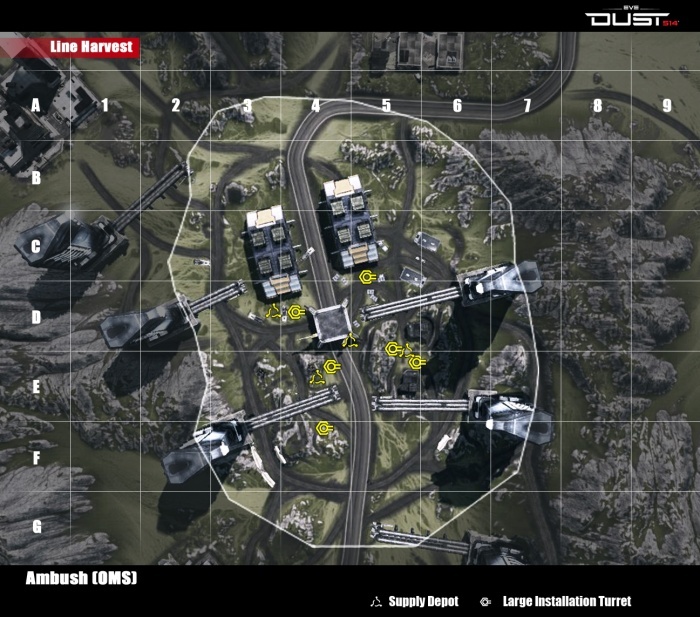 Needs random location/random spawn/random timer. i really enjoyed this map - i believe I played it about 2 nights ago. because of the close quarters it really felt like it was easy to get to the points. because of this the combat felt more rapid, i felt like there was more time to hunt and engage with the payoff being the capture point meant something. interesting story here. a build or 2 ago me and a friend as well as many blues had 7 tanks rolling on this maps. i belive that they refixed the vehicle limit by now. but still, as comical as it was. it was rather sad as well.